Lori B. Alexander | Littler Mendelson P.C. Her clients include telecommunications, insurance, and manufacturing companies; retailers and banks, among others. 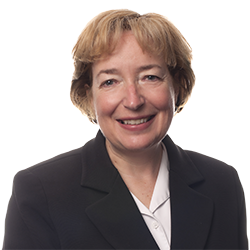 Lori is one of three founding members of Littler Mendelson's New Haven office. Before joining Littler, Lori was a partner at a general practice firm in New Haven. In law school, she was an editor of the Connecticut Law Review. * For information about the standards for inclusion in Best Lawyers in America, please see http://www.bestlawyers.com/about/MethodologyCT.aspx. ** For information about the standards for inclusion in Connecticut Super Lawyers, please see http://www.superlawyers.com/connecticut/selection_details.html. What Does a Trump Administration Mean for Employers? Ready or Not…Changes to the White Collar Regulations Expected in 2016: What Should Employers Do Now? Next Steps In The Wake Of The Companionship Exemption Decision: What Should Home Care Employers Do Now?